The business opportunities in Seychelles are numerous, and foreign investors are looking for new ways of placing their operations, whether there are well-developed sectors or the ones with high potential in the future. This is the case for the energy sector for which varied projects, particularly the ones relating with the green energy can be expanded in the future. Placing the investments in the energy field will soon represent not only a challenge but also a major opportunity for generating money. 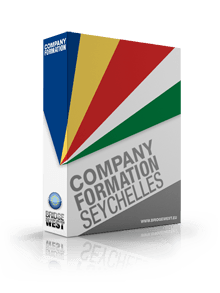 If you want to set up an offshore company in Seychelles, please feel free to talk to our team of company formation agents in Seychelles. Even though the renewable energy sector is at the beginning of the expansion, there are lots of chances for this field to sustain the economy of Seychelles in the future years. Biomass plants, large scale wind farms or big solar plants are among the technologies that can sustain the green energy field in Seychelles and which can be part of the investment plans for investors from abroad. Exploring the business possibilities in Seychelles’ renewable energy field may represent a solid investment plan, considering the importance of such business field in China, for example. For support in company formation in Seychelles, you can talk to our team of advisors. The distribution of energy is another major field in Seychelles in which investments can be made. Focusing on the network transmission of energy and investing in the equipment is also in the attention of authorities in Seychelles who are interested in companies from abroad and their investments. Seychelles is ready for infrastructure investments in the energy field, particularly in the existing one for which changes can be made. Foreign investors who are interested in opening companies in Seychelles are invited to get in touch with our team of company incorporation agents in Seychelles for complete support.